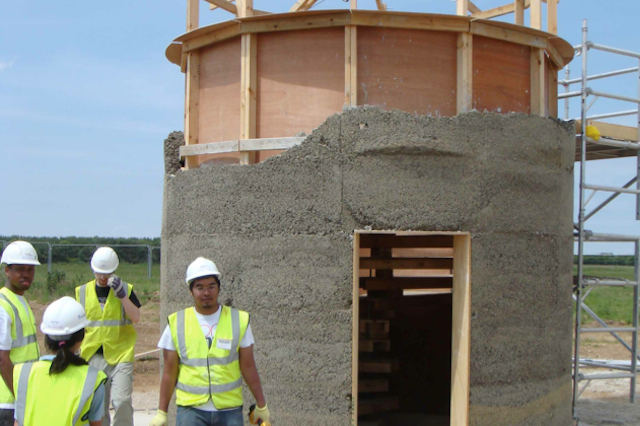 The idea behind the eco-house is to give students the opportunity to learn about building with a wide-range of low-carbon construction materials in a short space of time. Students are provided with a simple steel superstructure for their one-storey building. Their task is to design, specify and build the in-fill walls for the building, each wall from a different low-carbon construction material. Think Up developed the Eco House concept as part of our work to create curriculum activities for construction-themed university technical colleges. The Eco House project is a 16-week activity in which students spend eight weeks designing their structure, and then eight weeks planning and executing its construction. Think Up developed the programme of activities for the project and aligned them to the learning objectives in the Construction and the Built Environment curriculum. We designed the steel superstructure for the building, and provided supporting information for teachers delivering the course.